Has school work been declining and you just have too much time on your hands? Facebook and Tumblr getting a little too boring? Is it 3 am in the morning and you can't fall asleep? I say you should get in the mood for a TV marathon. Get this, the actor plays seven, SEVEN, different roles on television. Tatiana Maslany plays one of her personalities, Sarah Manning, who witnesses the suicide of a woman who looks exactly like her, Elizabeth Childs. Tempted by Elizabeth's vast savings in her bank account, Sarah assumes her identity and gets to have a bit of fun. But not all lies last and eventually she is found out by another person who looks exactly like her. It isn't a coincidence that three women look exactly alike because they all happen to be clones. Orphan Black deals with not only the not quite fiction of human cloning but also the reality of the importance of finding one's true self. 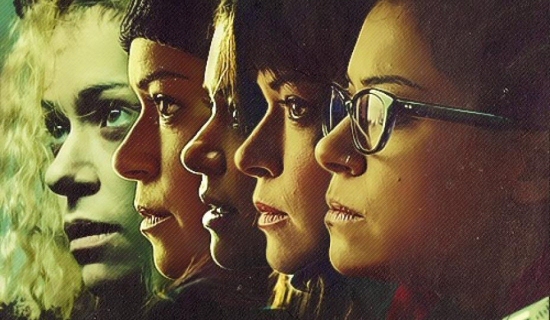 Orphan Black has been renewed for its fourth series in 2016. Each episode is 44 minutes long and each series has ten episodes. Stella Gibson is the hunter. She is a senior police officer in charge of recent serial murder cases in Belfast, Northern Ireland. Paul Spector is the hunted. He is a serial killer who likes to stalk his prey. So what happens when the roles reverse? The Fall is a gripping thriller show that will get your heart racing and goosebumps forming. Jamie Dornan is a pretty good villain here as well. This isn't surprising, considering how his most known role in his career is Christian Grey, a psychopath of his own. The Fall has been renewed for its third series in 2016. Each episode is one hour long and each series has five episodes. BBC answers a good question about what the government should do after a zombie apocalypse besides eradicate them all. They decide to rehabilitate the infected humans and disguise them with make-up and some contacts for them to blend in. Even though Keiran, the main character who is under the government program, is a zombie, you can't help relate with him. I mean not only he's a zombie, but he's also gay. Once you get to know his backstory, it only gets harsher for him. The only thing standing in the way from him being a normal teenager is that he died once. Maybe you'll cry, maybe you'll cry harder than expected. The show really answers those small questions that zombie movies can't. In the Flesh is roughly an hour long and only has two series. The first series is three episodes long and the second series is six episodes long. Honestly, ignore the fandom if it annoys you. The show itself is genius, just by looking at its 9.3 rating on IMDB. Give it a chance but don't forget to use subtitles and earphones because Sherlock does not slow down his pace for anyone.